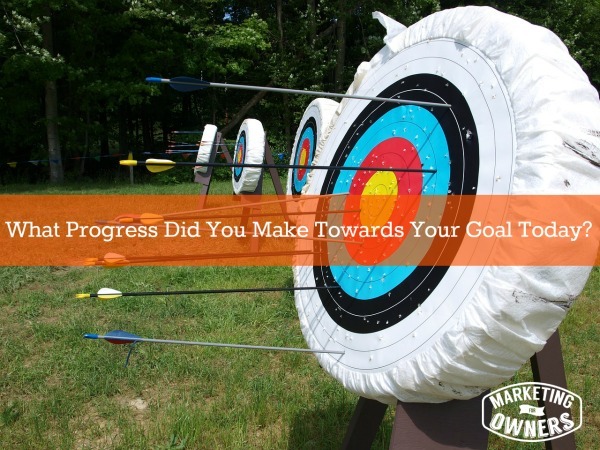 Did you have a goal today? I hope so! Remember a while ago we talked about goal setting and discussed about having short term, medium term, and long term goals. I hope you’re working towards some ninety day goals. So what do you do everyday to move you towards them? Projects need to be done, advances need to be made if we’re going to be successful in any form. Remember only you can judge if you feel you are successful– no one else can. So you need to have goals. You need to gradually progress toward them. So I’ve got an idea to help you. Anybody who is anyone that is running a business or is super busy has a to-do list — things that have to get done every single day. For me, my to-do list on Monday is agony! But we need to select something that is important every single day and get it done. We don’t want to forget the other to-do items on our lists, but as long as we make an important step towards our goal we are progressing towards the end of our 90 day goal achievement. Don’t forget how important it is to make these steps. If you don’t, you’ll look up two weeks before the month is over and realize that you haven’t even gotten have of what you want to get accomplished done. Step by step we get there. 2. 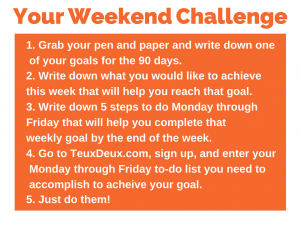 Second write down what you would like to achieve this week to get you towards completing that goal. If it’s completing it, fine! 3. 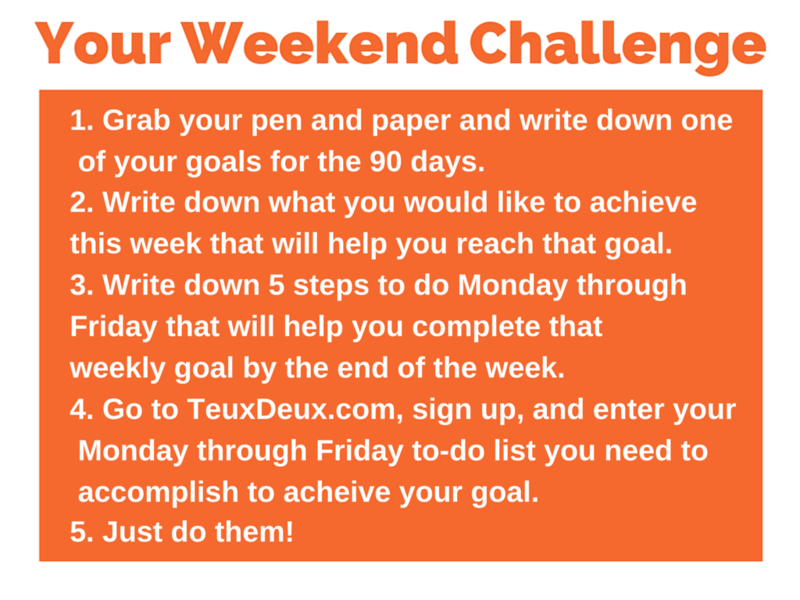 Thirdly, write down Monday to Friday, and then the five steps that will get you to the end of that goal if you did those and completed that weekly progress. 5. Next, do them! It’s as easy as that. You can do this stuff. I do this every week. If you feel a bit more ambitious why not have two things a day. Of course add your other to-do’s to make it more real. On Monday, pull the ones you didn’t finish from the day before and add them to your next day and do the important ones first. As Brian Tracie would say, eat that frog! What goals will you be setting for your 90 days?